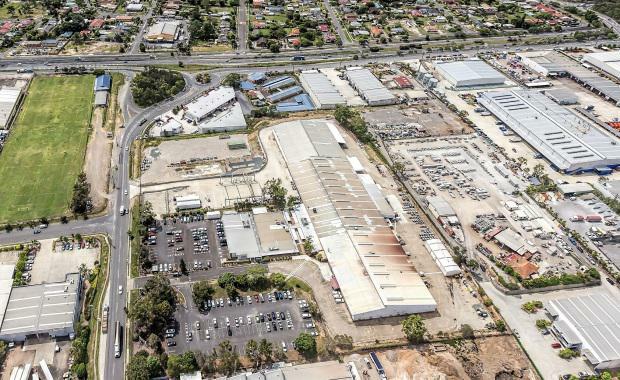 Pellicano has acquired its first industrial property in Brisbane since 2007, securing a 46,698sqm site at 24 -48 Archerfield Road Darra in Brisbane's southwest. The privately owned construction and building company secured the asset for $10.5 million on the back of seven residential development site purchases across Brisbane and the Gold Coast between 2010 and 2014 totalling more than $82 million. These acquisitions have resulted in a residential pipeline of over 3,550 apartments. The Darra site has 220sqm of frontage to Archerfield Road and currently sits on three titles, with one lot of approximately 7,000sqm cleared and ready for immediate development. Formerly home to ABB Australia, the industrial property also includes a 12,000sqm B-grade building which is suitable for lease. Pellicano managing director Nando Pellicano says the company has a long standing relationship with ABB Australia which facilitated a smooth sale, which was negotiated by Colliers International and Cushman Wakefield. "Pellicano designed and constructed ABB's Melbourne facility in Melbourne approximately 10 years ago," he said. "Pellicano has retained ownership of the facility which is located in the Monash precinct and ABB is still a tenant. "Having a positive existing business relationship certainly helped to secure the deal as there was already a level of confidence from both sides. "Mr Pellicano says current market conditions are favourable for the purchase of large sites in industrial hubs like Darra, for a number of reasons. "Large unoccupied buildings are currently in low demand making it an ideal time to secure sites at competitive rates with the potential for redevelopment," he said. "The Darra site is a prime Brisbane infill site which presented substantial land and improvements with approximately 12,000sqm of commercial building space available for immediate occupation. "Initial plans are underway for a masterplan redevelopment of the entire site and the existing industrial building will be available for short to medium term lease. "Patience is the cornerstone of Pellicano's growth strategy and we believe over the next 12 to 18 months the industrial leasing market will show strong signs of improvement. We see the rise in demand for quality commercial and warehousing space occurring as a flow on effect from the residential boom and the fundamental shift of the Australian dollar. "The industrial site is strategically located at 24 -48 Archerfield Road, providing easy access to the Centenary Motorway and Ipswich Motorway.